When Chris at Paperschnitzel started playing a Lord of the Rings miniatures game with his son, he found he was in need of some props. So he did what any creative dad would do, he built the props himself! 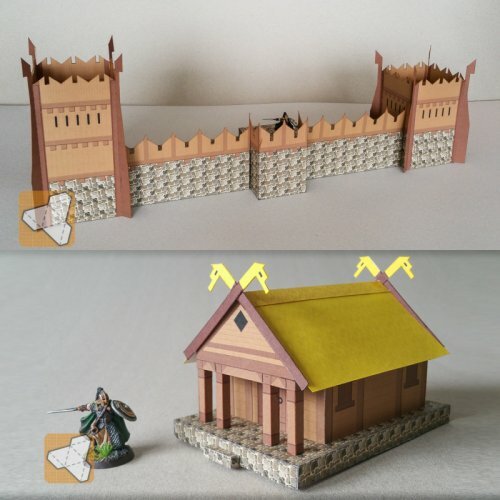 Pictured above are examples of the papercraft architecture he created to represent the hill fort city of Edoras, the capital of Rohan. Free printable templates for each of the pieces may be found here. In the writings of J.R.R. Tolkien, Rohan is a country ruled by horse-lords whose architecture reflects their equestrian culture. 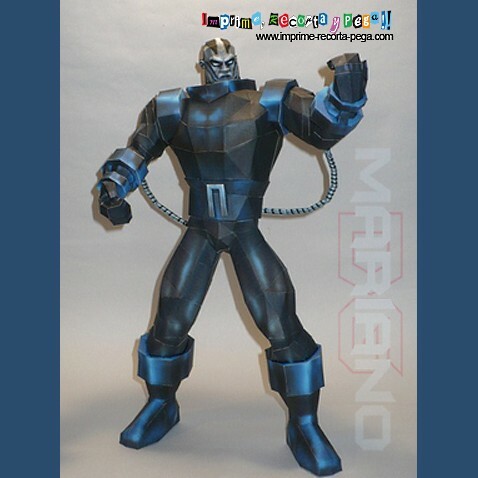 As Apocalypse is one of my favorite X-Men characters, I am excited he will be the "bad guy" in the next X-Men movie. This papercraft Apocalypse by Mariano DG is based on a 3D model from a video game. The finished model stands 16" (41 cm) tall. The Pepakura PDO and PDF templates for the model may be downloaded here. X-Men: Apocalypse is scheduled for release in May 2016. 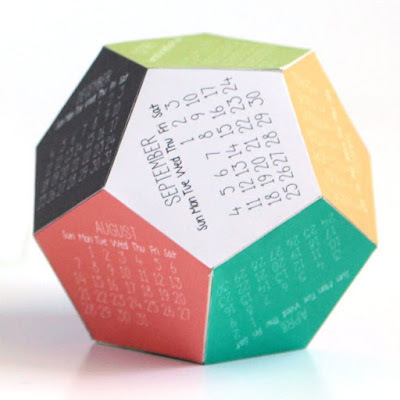 Here's something to brighten your new year: a free 2016 desktop calendar in the shape of dodecahedron. The printable calendar comes in a pre-colored version with ten colors or a black and white version you can color yourself. The PNG template for the calendar may be downloaded here. Also available is a cutting file for a Silhouette cutting machine. 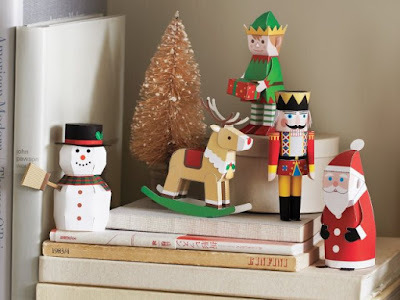 Martha Stewart offers a collection of five Christmas paper toys on her website. The delightful collection includes a snowman, an elf, a nutcracker, Santa, and a rocking horse reindeer. 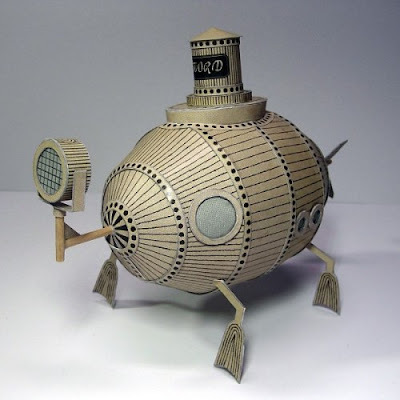 Stewart commissioned Tokyo paper artist Keisuke Saka to design the group. Not much time left until Christmas, better start printing now! Hope your holidays are happy. 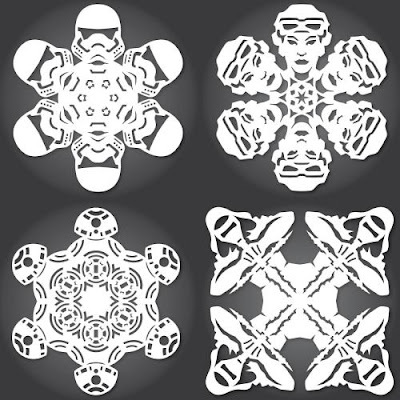 Every year for the past five years Anthony Herrera has released a different set of Star Wars themed paper snowflake patterns. This year's snowflakes feature (what else?) Star Wars Episode VII! Characters in the collection include a First Order stormtrooper, Rey, BB-8, Kylo Ren, Finn, and Po Dameron. PDF patterns for the snowflakes may be downloaded here. 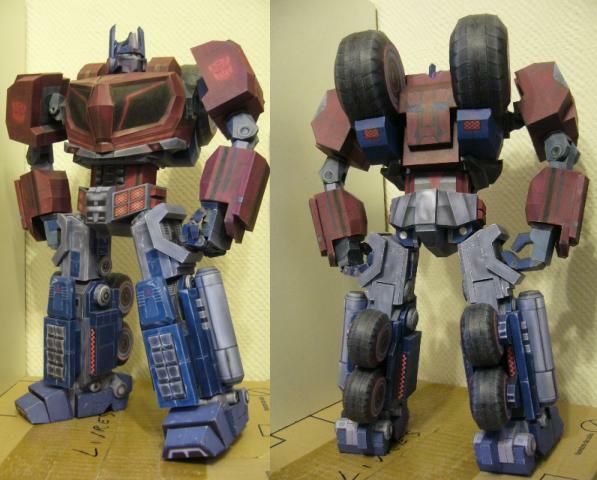 Three years in the making, this papercraft Optimus Prime was a labor of love for Laul, it's designer. The model is of Optimus as he appears in the 2010 video game, Transformers: War for Cyberton. 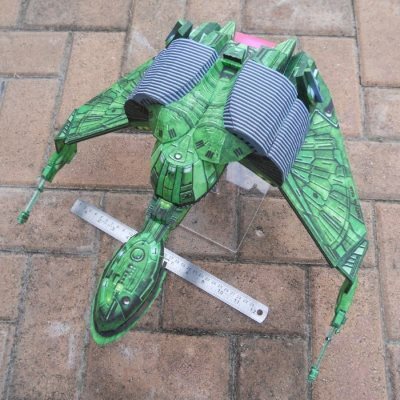 Although Laul might have been able to use a 3D model from the video game to create his papercraft, he instead chose to create a 3D model from scratch based on screen captures from the game. The finished model stands 15.7 inches (40 cm) tall. Templates and instructions may be downloaded at Paperlaul. 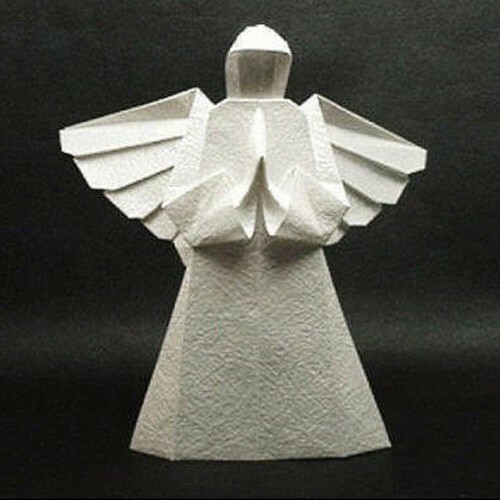 If you use a large enough square of paper, this origami angel could work as an elegant Christmas tree topper. A detailed folding diagram for the angel is located here. The angel takes 46 separate steps in order to complete. Well worth the effort! Jules Verne's 1896 novel, Facing the Flag, features an experimental submarine named the HMS Sword. The fictional English submarine is described in the book as having a commander and a crew of four. This paper model of the Sword was designed and built by Pavel Styl. A PDF template for the sub is available here. Pavel, who is a prolific designer of paper models, also offers an excellent collection of papercraft churches. These DIY Marvel superhero treat boxes would be a hit at a child's birthday party for sure, but they would work great for most any holiday or celebration with Marvel Comics fans in attendance. The boxes are a fan art creation by illustrator M. Gulin. Free PDF templates for the boxes may be downloaded here. 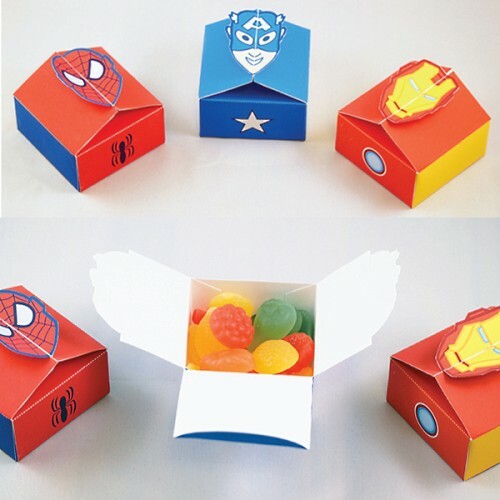 For the non-Marvel fan, depicted on the boxes are Spider-Man, Captain America, and Iron Man. This papercraft Santa Claus mask is based on a 3D model from the Payday series of video games. The Payday games follow the exploits of a group of bank robbers who wear various masks to commit their crimes. 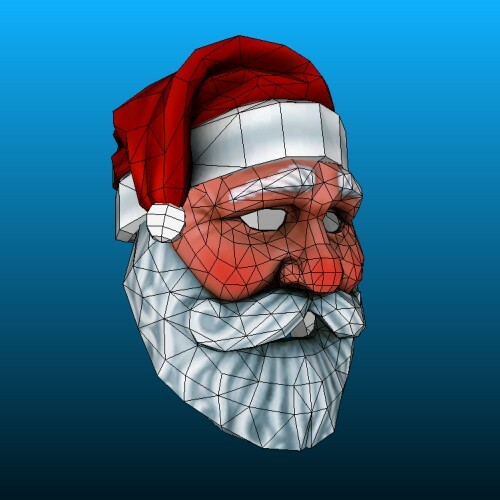 A Santa mask is one of several masks that may be unlocked in the game. 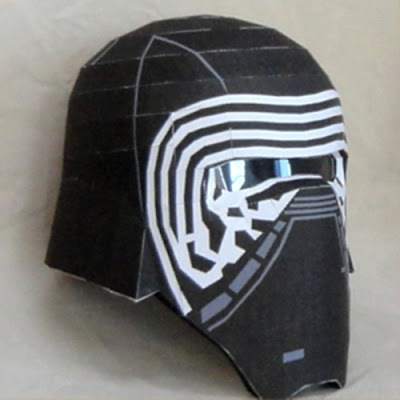 The Pepakura PDO template for the mask may be downloaded here. Looking for a easier Santa mask? Try this 2D Doctor Who Robot Santa mask. 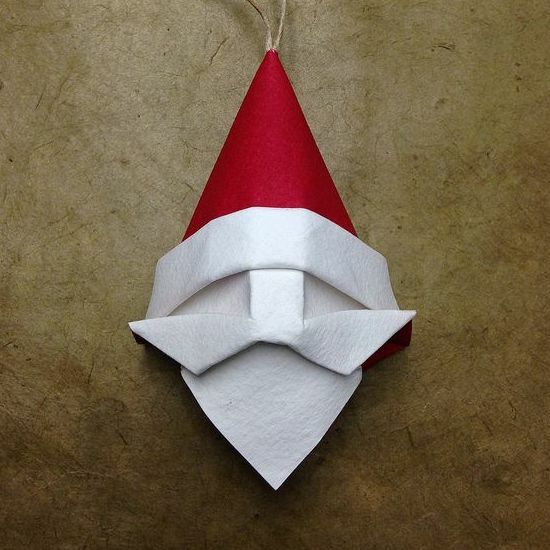 This origami Santa Claus ornament makes a good Christmas project to do with children. The Santa is folded from a single square of paper that is red on one side and white on the other. Designed by origami artist Beth Johnson, the crease pattern for the ornament is available on her Flickr page. Beth has been designing origami since 2010. Angry Birds Transformers is the tenth game in the Angry Birds series of apps. In the game, the familiar birds take on the identities of the Transformers. 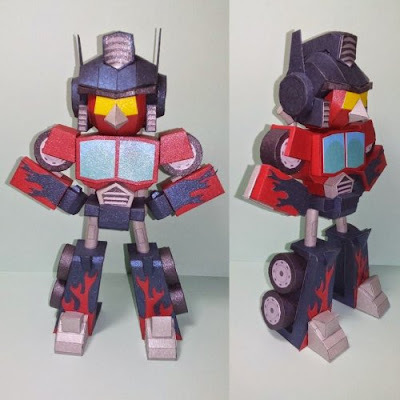 This fan art papercraft is of the red bird as Optimus Prime, the leader of the Autobots. 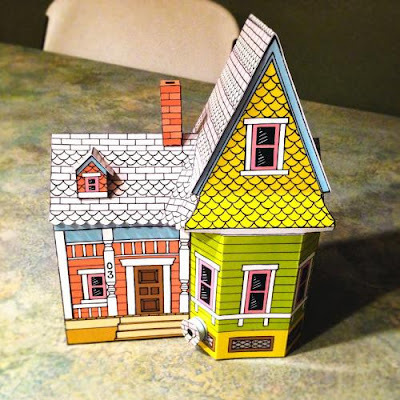 The PDF template and instructions for the model may be downloaded at ZRP Papercraft.